THE PEOPLE HAVE SPOKEN! Here is a list of all of the suggestions I have received since starting this blog. I wish I could knock them all off in a week, but the list keeps growing, and unfortunately if I did that, so would my waistline! I will do my best to get to every one of these establishments in a timely manner! The restaurants with highlighted links have already been reviewed for you to click and read. Please check them out and keep those suggestions coming in! Please help me find the best Pizza in Northeast Pennsylvania by suggesting your favorites in the form below! I will periodically update the list above with your suggestions, and I will link to those suggestions when they are reviewed. 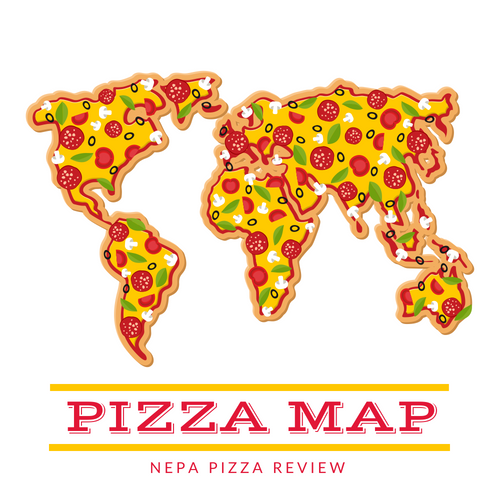 If you want to talk further about your favorite pizzeria, email me at nepapizzareview@gmail.com, or hit me up on twitter @nepapizzareview, or on facebook "NEPApizzareview". I can talk pizza all day, and I love to hear your thoughts!